If you believe every human being has something valuable to contribute to society. If you believe that realizing our collective potential lies in nurturing our individuality. If you believe that success is more about purpose and fulfillment than status and power. A public think tank dedicated to building a world where all people have a chance to live fulfilling lives in a thriving society. We can see people better than ever before. The days of knowing people through averages, aggregates, and types are over. We have a new science of individuality that provides us with an unprecedented understanding of individuals on their own terms. This is enabling us to transform how we teach, train, and heal. Innovators are using this understanding to convert our cookie-cutter systems into highly personalized ones. As a result, medical systems are able to treat people based on their unique genomes. Education systems are able to teach people based on their individual abilities and interests. Workplaces are able to cultivate people in ways that harness their uniqueness and allow them to make their greatest contributions. And, on the most fundamental level, people want something different. Money, fame, power. That’s what we’ve been taught to orient our lives around in America. But our research shows that what we really want is something far more personal. An overwhelming majority of Americans now define a successful life as following their unique interests and talents to become the best they can be at what they care about most. Americans are hungry for a world that understands and values them. A world that is built to nurture and unleash their unique talents. We believe that for the first time ever, we can do something about it. Our purpose is to use this understanding of individuality to bend technology and social forces toward a world where people live fulfilling lives in a thriving society. Realizing our vision for the future requires transformation at cultural and systemic levels. Change the cultural narrative around success. We believe that building a world that nurtures and unleashes our unique talents starts with culture change. Our first priority is building social tools and engaging the media to inspire a new narrative about success. We’re working with leading culture designers, influencers and media pioneers to drive cultural shifts that flip the social pressure in our favor. Transform public systems to meet our rising expectations. Personal conviction and even public expectation alone, will not create a society that is responsive to individuality and supports fulfillment. We must also transform our systems to become more personalized. To meet this need, we are working to support and advance coordinated solutions at key levers within and across our public systems, with a focus on education, healthcare, and the future of work. Founded in 2013, Populace is a new kind of think tank that blends thought leadership and original research with public engagement and grassroots advocacy. Our team consists of a diverse group of field-leading scientists, award-winning creatives, and innovative educators. Together, we are committed to restoring America’s ability to confront its challenges by unleashing its potential—each individual brought alive through their passions, a nation reimagined through our collective pursuit of fulfillment. Todd is the Co-Founder and President of Populace. He is also a professor at the Harvard Graduate School of Education where he directs the Mind, Brain, and Education program and leads the Laboratory for the Science of Individuality. Todd is the bestselling author of The End of Average and Dark Horse. Parisa is the Co-Founder and Vice President of Populace where she leads the Personalization Lab. She is also a Research Fellow with the Laboratory for the Science of the Individual at the Harvard Graduate School of Education, where her work focuses on issues at the intersection of individuality, design, and technology. 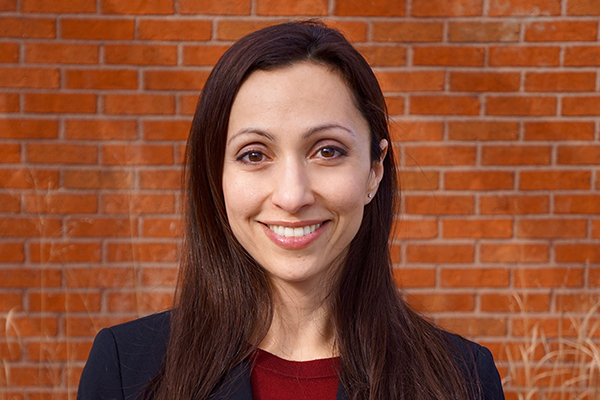 Parisa received her Master’s degree from the Harvard Graduate School of Education in Technology, Innovation, and Education in 2009. Brian is the Senior Communications Strategist at Populace. Previously, he was the founding partner and President of Mob Scene Creative & Productions, an innovative and leading entertainment advertising and production company. Brian has served as Vice-President of Creative Advertising for Columbia/Tri-Star and Senior Vice-President of Creative Advertising for 20th Century Fox. He is a graduate of NYU Tisch School of the Arts and a member of the Academy of Motion Pictures Arts and Sciences. Dewey is a Founding Director and Chair of Populace. Previously, Dewey served as a Trustee of the Charles Armstrong School, a board member of Burkes School, and the President of the Little Sisters of the Poor Auxiliary. She retired from Levi Strauss as Merchandise Manager responsible for $125 million in business. Prior to that, she was a Research Analyst at McKinsey & Co. She received her M.B.A. from University of California at Berkeley in 1976, and her B.A. from the University of Florida in 1967. In 2011, Dewey received the Heroes and Hearts Award sponsored by San Francisco General Hospital. Walter is a Founding Director of Populace. He is also the founder of GIST. Earlier in his career, Walter was the Head of Marketing for Enjoy Technology, Inc, as well as part of the Global Marketing Group for Levi Strauss & Co. A digital marketer by training, Walter is an accredited producer of Cannes-winning campaigns. He received his B.A. from Stanford in 2007 and his M.B.A. from Harvard University in 2014. Debbie is a Director of Populace. In her professional life she is a Learning & Development Manager at Google responsible for programs for Google managers. Earlier in her career, Debbie was a Product Marketing Manager associated with the launches of Gmail and various advertising products. Her team’s innovative approaches were described in the article “Training Secrets from Inside the Googleplex” on FastCompany.com. Debbie attended Harvard University and holds an MBA from Stanford. Bill Rosetti is a Director of Populace. He is also the President of J&R Associates, a prominent apartment owner in the Bay Area. Prior to this, he was the founder of TRI Realtors and the Chief Executive Officer of The Prudential California Realty of Northern California. Bill has been active and influential as a realtor and real estate developer in the San Francisco Bay Area, and he has earned a prominent and respected position as a leader in the San Francisco real estate community. Bill is considered a pioneer in the field of residential condominium development in the Bay Area. Populace is a 501(c)3 nonprofit organization.